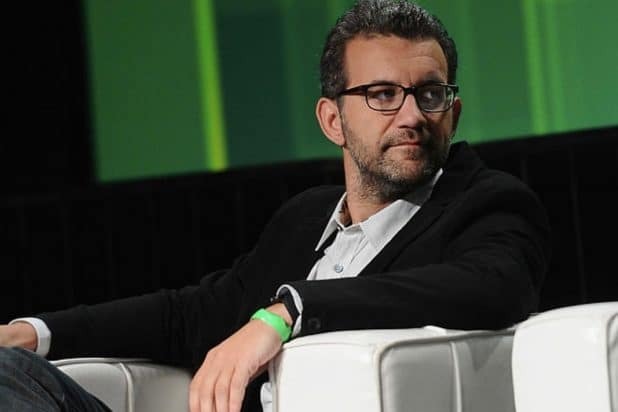 Quibi, Jeffery Katzenberg’s billion-dollar streaming upstart, has hired Pandora co-creator Tom Conrad as its first chief product officer, the company announced Monday. Conrad will lead product design, product management, user research, and customer support teams for the company and report directly to Quibi CEO Meg Whitman. In December, he also joined the Quibi advisory board. Prior to his new role, Conrad served as VP of product for Snap Inc. before stepping down last March after Snap ill-received redesign to Snapchat app. Before that, he co-created and then held the role of chief technology officer at Pandora, the streaming music service. Conrad’s hire follows a string of appointments at the short-form video startup as it readies for an expected 2020 launch. Last year, Quibi tapped two former Hulu execs Tim Connolly and Jim O’Gorman, former president of Turner’s DC Entertainment Diane Nelson, and former co-president of The Hollywood Reporter Janice Min. The company also tapped directors Sam Raimi (“Spider-Man”), Guillermo del Toro (“The Shape of Water”), Antoine Fuqua (“The Magnificent Seven”) and producer Jason Blum (“Get Out”) to produce content for the upcoming video service. Founded by Katzenberg and headed by former Hewlett-Packard CEO Meg Whitman, Quibi closed a $1 billion round of funding in August from big-name investors such as 21st Century Fox, Disney, NBCUniversal, Viacom and WarnerMedia. The service, which is creating short-form, mobile-first content, is expected to have a two-tier pricing model: an $8-per-month option that doesn’t include advertising and a $5-per-month tier that has limited ads.